Who sets the prices for premium Bordeaux wines? Buyers and journalists do, descending on Bordeaux in early April each year to taste hundreds of the classed growths and other top-level wines in a marathon week of regional travel—by invitation. Watching and discussing the reactions of buyers and the press, the Bordeaux wine merchants will shortly announce the pricing for the important 2009 vintage futures to be delivered a year from this fall. 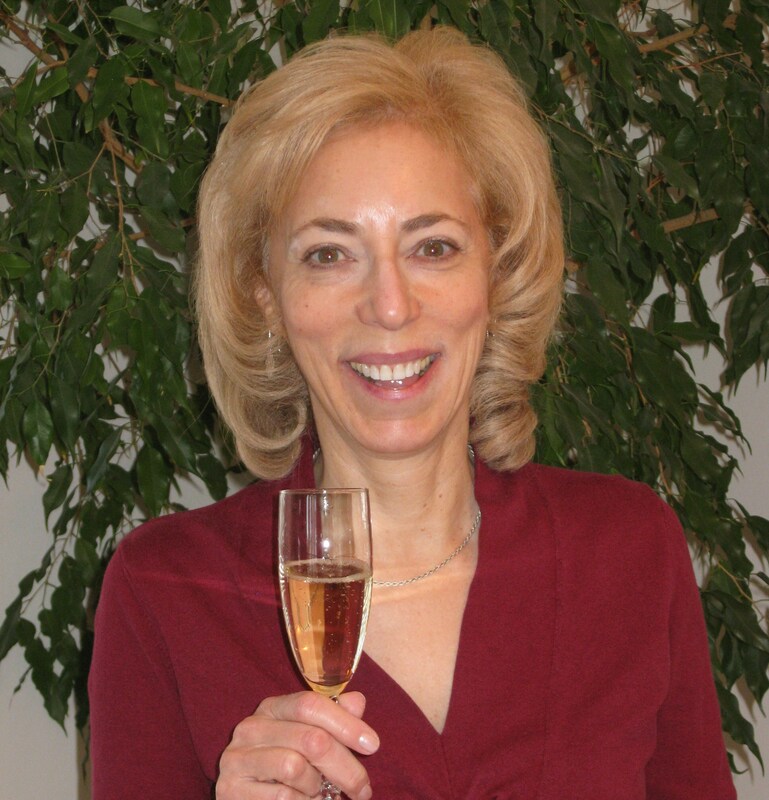 Here we follow journalist Becky Sue Epstein as she reports from the Sauternes and Barsac regions of Bordeaux. Less than an hour out of the city of Bordeaux and we’re stopped in a little lane in the middle of a farm. “The GPS says it’s here,” the driver offers, looking around at what is obviously not the château we’re looking for. He calls headquarters. Frankly, I can’t understand how anyone finds their way around the famed regions of Sauternes and Barsac in the southern part of Bordeaux. It’s all twisty tracks in tiny towns surrounded by vineyards and fields with ancient, low stone walls. Except for the few château owners and managers speeding down the lanes in their BMWs, the landscape looks like it must have 150 years ago. Today is the first day of “summer time” or daylight savings, and the sun is still gilding the countryside at 6 p.m. Spring is just beginning; the willows are leafed out in light green. A few cows, horses, and a donkey or two work at the bright green grass in their small pastures. The vineyards are still austere symmetrical sculptures, tightly pruned, thick, low grapevines planted in rows along the supporting stakes and wires. Though tiny yellow and blue wildflowers have burst open near the ground, it’s too early in the spring to see buds on the gnarled vine trunks. 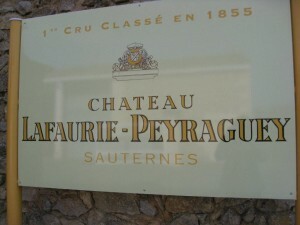 Guided via his cell phone, the driver maneuvers the car through more tiny hamlets, up a hill through the tall, narrow gates and into the courtyard of one of the classed growths of Sauternes, my home for the night: Château Lafaurie-Peraguey—which quickly becomes L-P in my notes. Before dinner, we’re treated to a small tasting of recent vintages of L-P, and then a selection of hors d’œuvres that are luscious with the wines—including foie gras, of course. Nearly sated, we pick our way through a small but rich dinner with more wonderful L-P, and can barely manage a taste of the opulent caramelized mango sabayon before falling into our very comfortable beds upstairs. 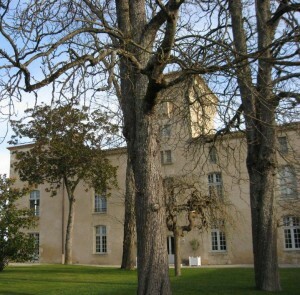 I am in Bordeaux at the end of March to take part in the all-important tasting of the new vintage, the 2009. Raves have already leaked out from a few advanced tasters, and from the Bordelais, of course, but that’s normal for them every year. This time they might be right, as they were in 2005, and other important vintages before that. Two days later, I’ve heard the 2009 wines compared to everything from the great vintage 1950 Pétrus to the 1989 and 2000. We’ll see. I began in the blending cellars of my favorite part of Bordeaux, Sauternes and Barsac. Most of us know these great white wines simply as “Sauternes,” but in fact the all-important 1855 Bordeaux classification included wines from the hillsides around the townlet of Sauternes as well as from the fields near the tiny river port of Barsac. Château Climens is located in Barsac, and owner Bérénice Lurton insists we come to the cellars to taste some of the 14 lots of wines that are in barrels undergoing their fermentation. She and her cellar director don’t know what their final blend will be for maybe a year, until the barrels give up enough of their secrets so they can put together a predictive assembly. They aspire to create a great wine to drink in five to ten years—and one that will remain great, hopefully, for another 10, 20, or even 50 or more years. The differences in the barrel lots are amazing, especially considering they are all from one grape, sémillon, grown on fairly uniform soils around the estate. 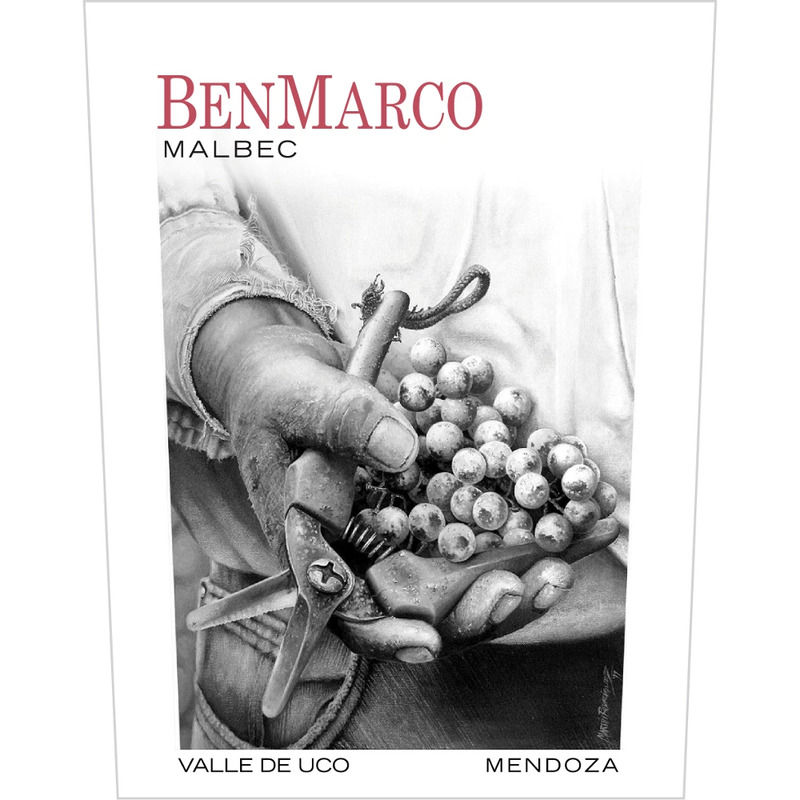 Each of the barrels presents different dimensions of flavors, aromas, and finishes. 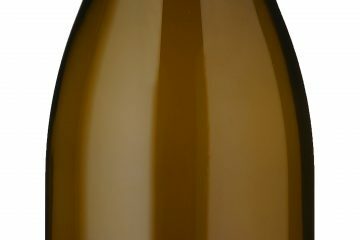 At other Sauternes and Barsac estates, they have put together their preliminary assemblage, most combining sémillon and sauvignon blanc, with some adding a small percent of muscadelle as well. We drive over to nearby Doisy-Védrines where round tables are set up in a small, low stone building. The tables are covered with shiny wineglasses, bottles of water (still and sparkling), and large, black spittoons. There are also little plates of bread and cheese, which of course, no one touches until they’ve finished tasting. A few electrical cords snake under the table for those of us who want to plug in laptops to enter our tasting notes right then and there. I plug in and boot up. 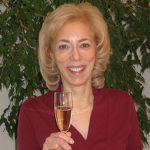 Upon my signal, two women bring over the first four wines, each bottle wrapped in gold paper and numbered: today I am “tasting blind.” Actually, someone has handed me a list of the wines, but I left it folded in the envelope so as not to prejudice my tasting. The women have poured about an ounce of wine in each of my glasses. I sniff, swirl, sip, spit, and make notes. When finished with my evaluation, I pour the rest of the wines into the spittoon and signal for the next four. An hour and a half later, I’ve tasted and made notes of 25 wines. My notes say things like “sweet, flowery, tropical fruit nose, apricot, honey flavor, mild finish” or “nice pineapple, mango nose, tropical fruit salad flavors melting into moderate finish.” The wines are all coming along nicely, with no real off flavors or wateriness. 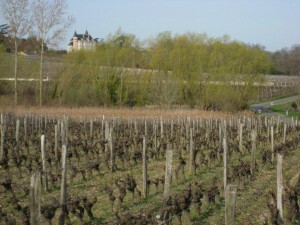 They will develop into fine specimens of Sauternes, each with its own distinctive character and timeline. I’m happy, and a little sticky. I rinse my hands, reward myself with bread, cheese, and water, then jump into a waiting car stuffed with several other journalists and all of our baggage. We head off for the red wine region of St.-Émilion, where we’ll be spending the night sprinkled around that area in châteaux, guest houses, hotels, and inns before the next day’s tasting. There are over 200 journalists here, and thousands of buyers. A total of 6,000 people criss-crossing Bordeaux.